With the weather being extremely chilly in Buenos Aires, I was stoked to break out my brand new Wolford polka-dot tights and my Proenza Schouler bag! I doubled up on leather on this occasion because of the low temps and ended up really liking this look. 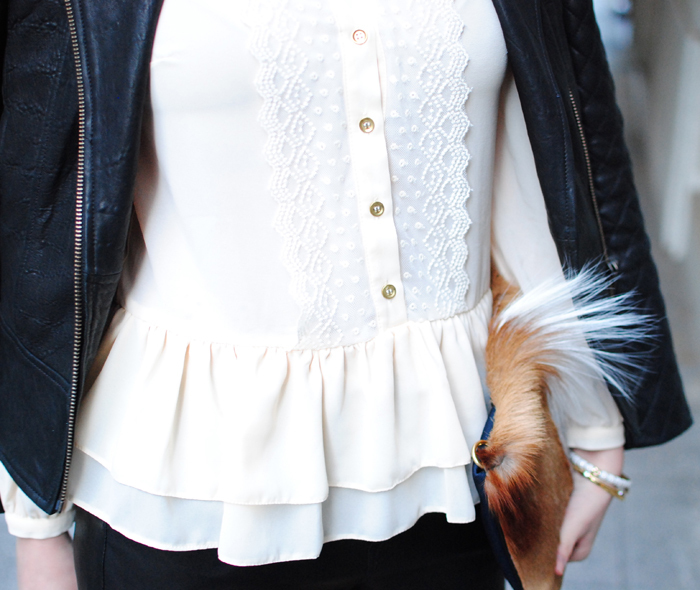 It’s also my first time to don my favorite new ASOS blouse, which unfortunately sold out already. On the positive side, ASOS has a variety of similar styles available right now so be sure to check them out! Love those tights! So fun!